Messenger Plus! 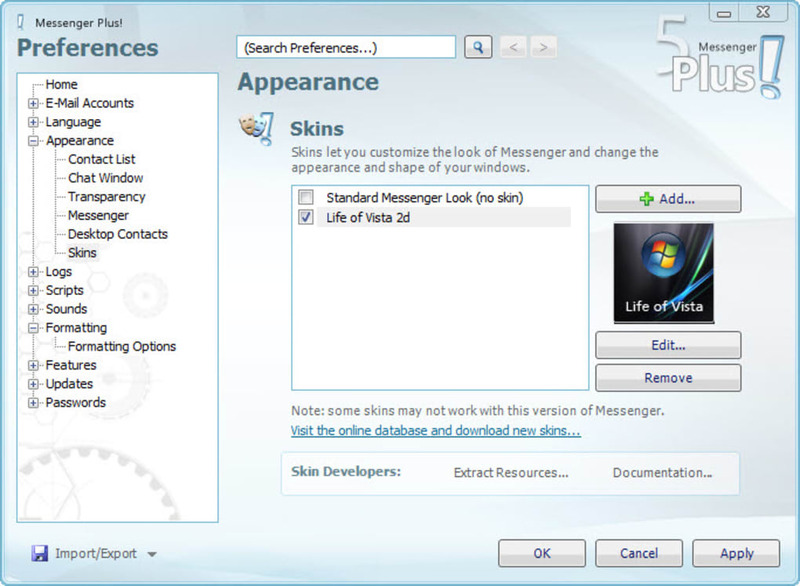 is a plugin for Windows Live Messenger that adds more features to the instant messenger like skins, tabbed conversations, custom sounds and more. Messenger Plus! 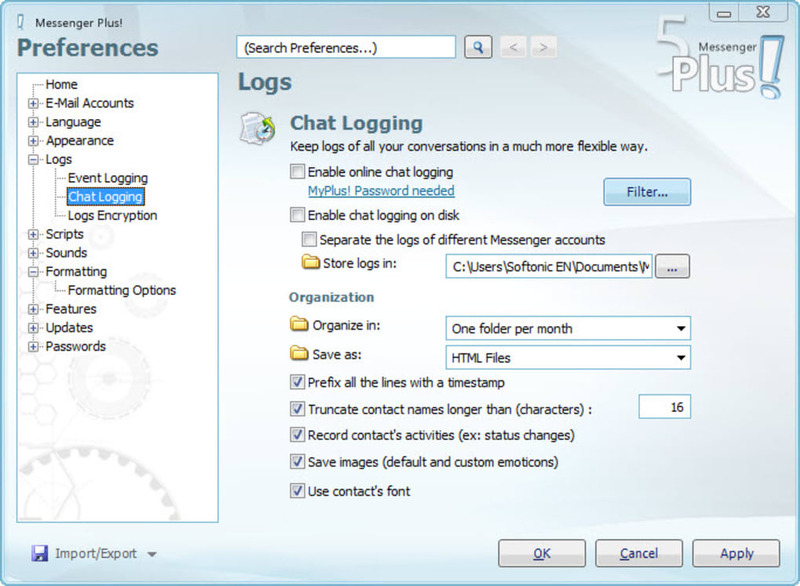 is the most popular MSN plug-in, collecting together all the extras users could ask for into one program. It's certainly an excellent pack of tools which heavy Messenger users consider as essential and which certainly improves your IM experience. 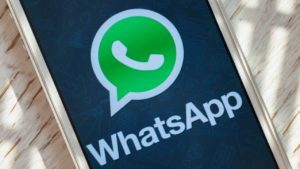 Over all these years it has been able to adapt to every new Messenger version, including the name change and the new interface design. In fact, Messenger Plus! is now seamlessly integrated into Windows Live Messenger 2011: the only way you can tell it's there is by the tiny button on the top right corner of the main interface. The Messenger Plus! 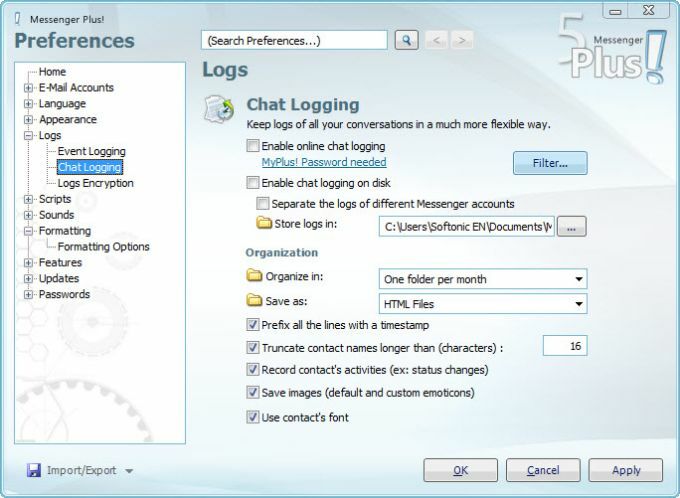 tools can be divided into several groups, depending on the aim they're made for: you get tools to improve your chats, format text, change Messenger's appearance with skins, customize fonts and manage chat logs, among others. Messenger Plus! also lets you password protect your Messenger and includes support for scripting, so that you can add your own features to the plug-in. The list of improvements Messenger Plus! brings to Windows Live Messenger doesn't end here. Tabbed chat windows, custom status messages, quick texts for frequently used expressions are just some of the new features you’ll be able to enjoy with Messenger Plus!. It can take a while to tweak all these settings, but fortunately a useful after-install wizard makes the basic initial configuration a lot easier. All in all, Messenger Plus! is probably the only plug-in you'll ever need, especially if you like customizing every single detail of your Messenger. Messenger Plus! 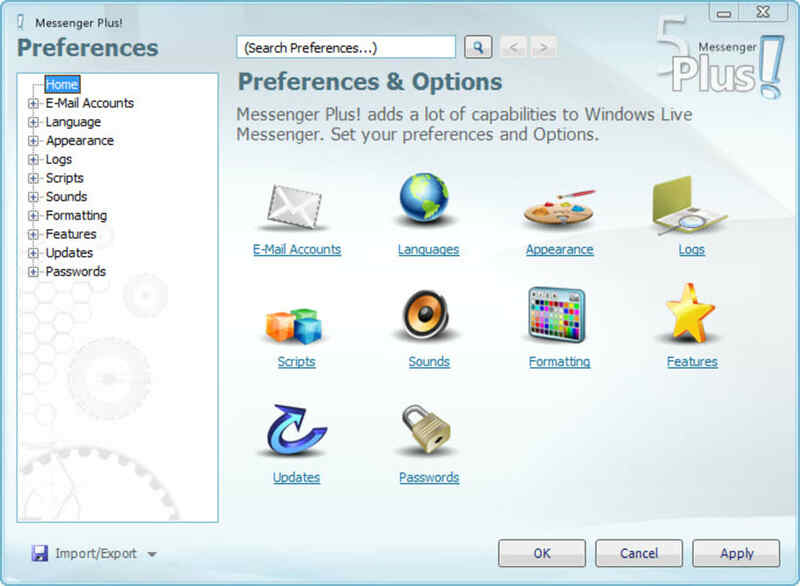 Live is the one essential add-on for Windows Live Messenger, period. 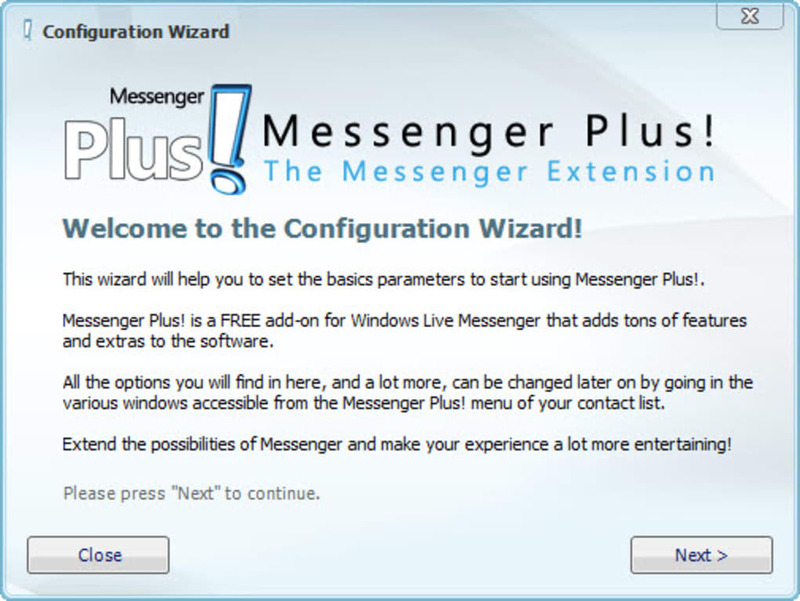 After 150 million installations since 2001, when it started as a simple add-on for MSN Messenger 3, Messenger Plus! is guaranteed to improve your Messenger experience by leaps and bounds. 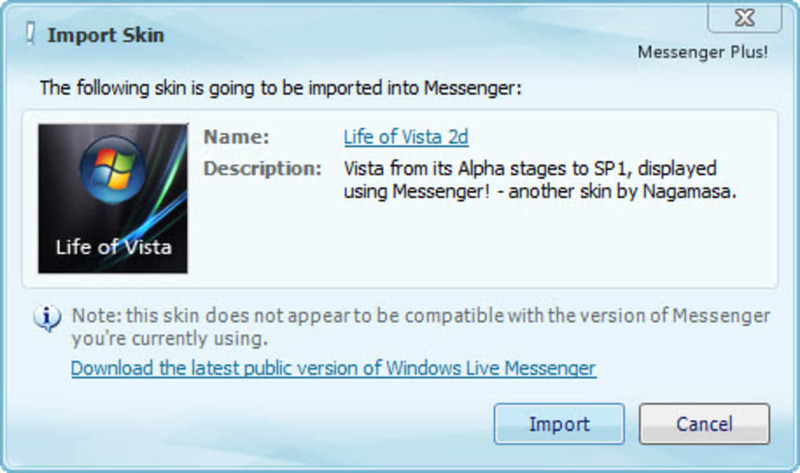 You won't just get a couple of new options, what you'll get is a whole new dimension for the Windows Live Messenger software. Use a tabbed web browser? Even if you don't, you might find tabbed conversations useful for organizing your chats by converting a myriad of windows into a simple single one. Vertical tabs on the left, normal tabs on the top. You name it. 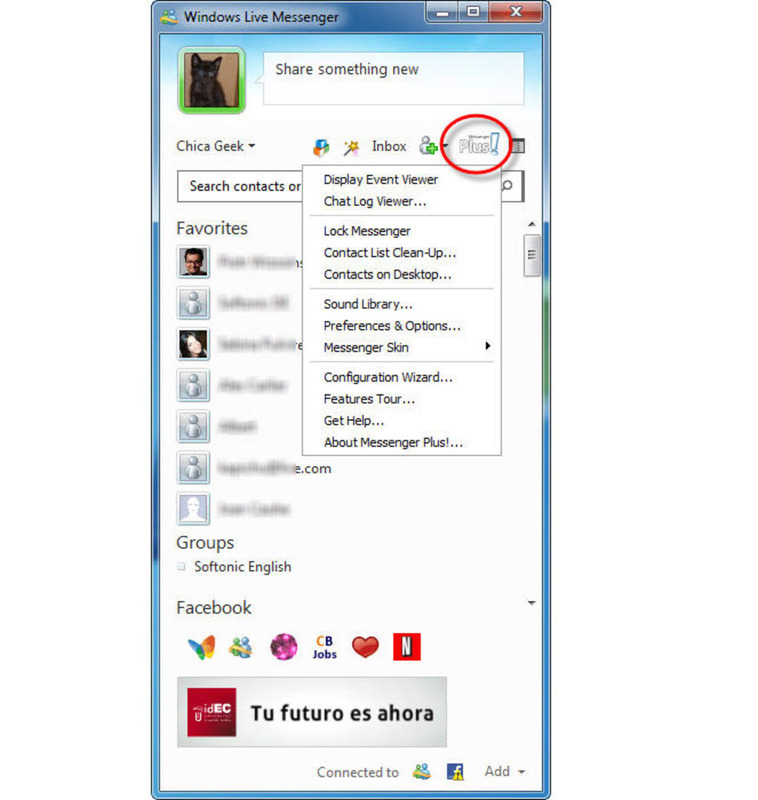 You can also use tabs to group just some special chats and keep all the rest in normal windows. 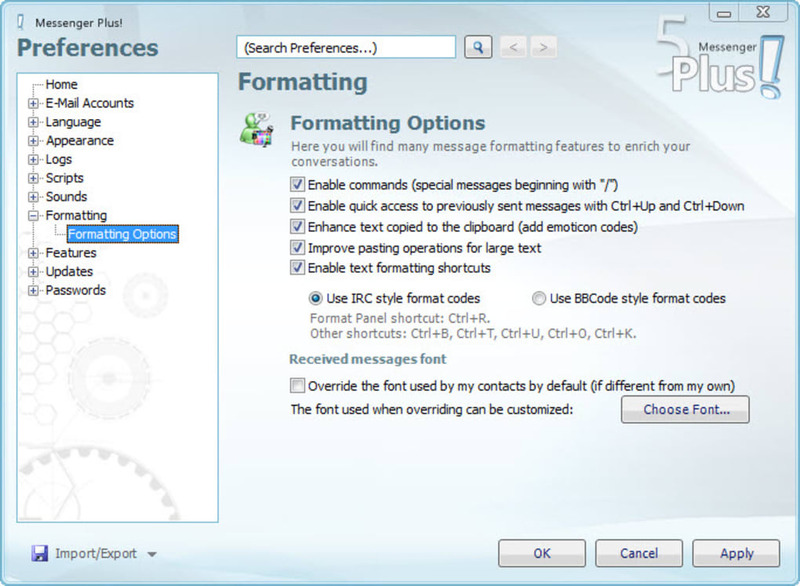 Create custom away or busy statuses with a special name tag, personal message or even an auto-responder. Set a timer to reset your status in a certain time and organize presets to reuse common statuses. Similar to what ICQ used to offer, you can show the status of any desired contact on your desktop in the form of small floating windows. You can drag and drop messages or links into these to send a message to the contact, or drop a file to start a transfer. Contact sign ins and sign outs, status changes, display name and personal messages changes. Everything can be logged and archived in XML-based files which you can view from your browser. You can also use the Event Viewer in the Plus! menu to view this info in real time, to find if a certain contact signed in earlier or analyze their status changing behaviour, or even their musical tastes! 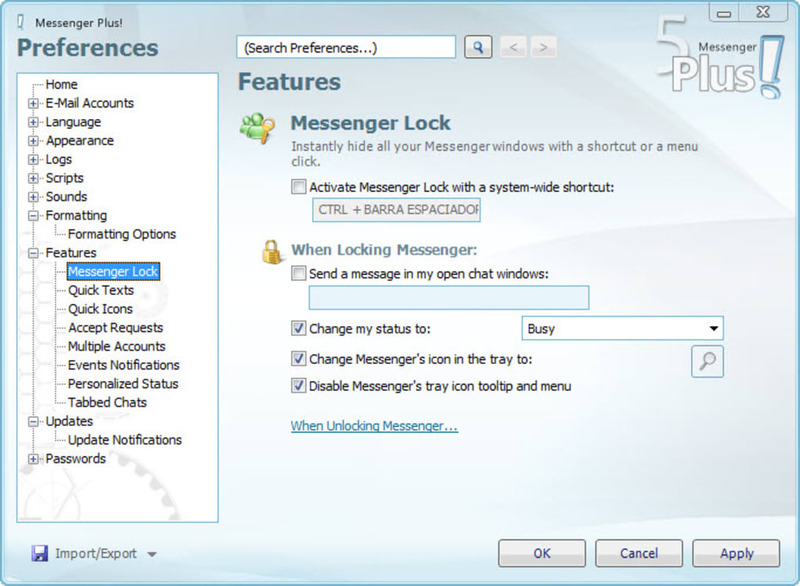 Related topics about Messenger Plus! User reviews about Messenger Plus! can't change font color. I use msn 2011. I can't change the font color. On the plus icon it's shown software not loaded. 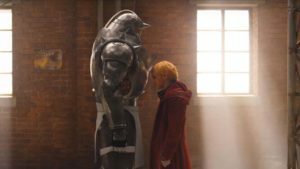 How can I do? Great. That's Really Really Good ! I Find It Helpful and Wonderful . . ~ I'm Really Happy Thank you . . Thank you Soo Much For this Programs . .
Get FREE alternatives to Messenger Plus! Your review for Messenger Plus! 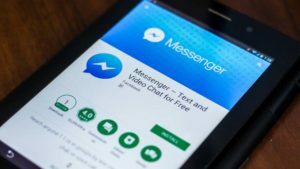 What do you think about Messenger Plus!? Do you recommend it? Why? No thanks, continue to download Messenger Plus!